As a CIO how are you preparing for your future organizational technology? 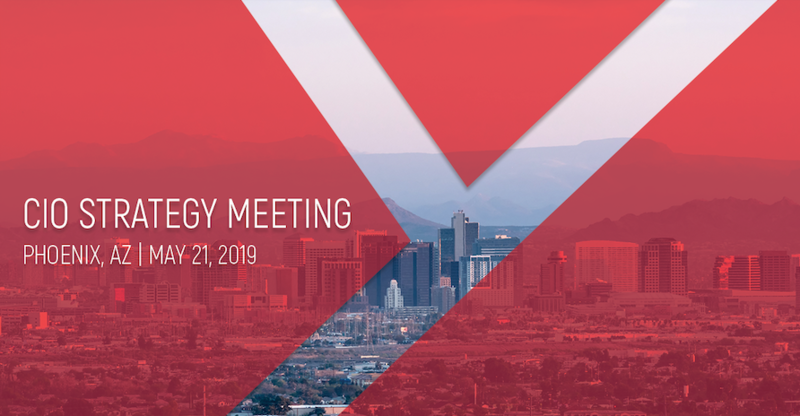 We are excited to announce the launch of the CIO Strategy Meeting on May 21, 2019, in Phoenix, AZ. The CIO Strategy Meeting is a meeting to help CIOs prepare for their organizational future technology and for the opportunity to come together for a day and engage with their peers and the IT Industry in a series of group discussions and One-on-One meetings. We selected five areas that are up for discussion at the CIO Strategy Meeting. The modern CIO roles must adapt to the technological changes within the industry to help guide your organization through a strong and supportive transition process. How the CIO can create teams to interact directly with the stakeholders and develop a strategy to upgrade the workforce to adapt and collaborate with the rest of the business and offer expertise on the digital abilities and ambitions of their business partners. How can your organization develop a roadmap that identifies risks and securely transitions your business into the cloud? Why determining the risks versus rewards of cyberspace is essential for the CIO when developing a business plan in order to recognize threats and build cyber resilience. Determine where your security plan lies, where you want your organization to be, and how you can leverage security practices to strengthen security within the organization. Visit the CIO Strategy Meeting Phoenix page for more updates about this year’s program, sponsors, and how to register. Or contact Jason Walter, jwalter@ncsmadison.com for details. Don’t miss out on joining the conversation!